Home About Us Staff Brandy Litwin, M.S.W., L.C.S.W. 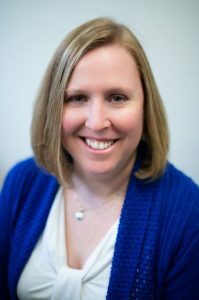 Brandy Litwin, M.S.W., L.C.S.W, brings almost a decade and a half of experiences working with children, teens, young adults, adults and families. Brandy utilizes Cognitive Behavioral Therapy (CBT), Dialectical Behavioral Therapy (DBT), Trauma Focused Behavioral Therapy, Motivational Interviewing, Accelerated Resolution Therapy (ART), expressive therapies behavioral modification. She has extensive experience providing family therapy. Brandy has worked extensively in outpatient, residential school and partial hospitalization programs. She has served in clinical and program leadership positions. Brandy earned her Bachelor of Science in Behavioral Psychology and Master’s in Social Work from the Western Michigan University. She is driven to continue gaining more knowledge and improving her skill set through ongoing training to best meet the needs of those she serves. She is licensed by the State of Michigan and the Commonwealth of Virginia. She is a Certified Youth Trauma Treatment Professional, and a member of the National Association of Social Workers. Brandy enjoys cooking, baking, traveling, reading, being outdoors with her dog, and spending time with friends and family.